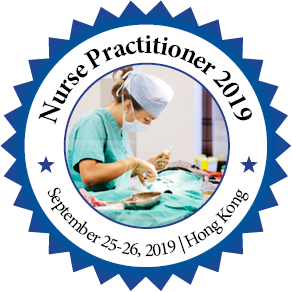 About Conference: In continuation to the successful past “Nursing Conferences” and Scientific meetings, The Conference Series LLC Ltd. proudly announces the “26th World Nursing and Nurse Practitioner Conference” during September 25-26, 2019 in Hong Kong. The upcoming conference will be organized around the theme “Innovations and Advancements in Nursing”. ConferenceSeries LLC Ltd. organizes a conference series of 1000+ Global Events inclusive of 1000+ Conferences, 500+ Upcoming and Previous Symposiums and Workshops in USA, Europe & Asia with support from 1000 more scientific societies and publishes 700+ Open access Journals which contains over 50000 eminent personalities, reputed scientists as editorial board members. Nurse Practitioner 2019 aims to discover advances in health practice, management and education in relation to health disparities as well as a breadth of other topics. In this Nursing Conferences, Nursing Professionals has a special set of competence and ability. Not only can they diagnose patients and finally provide medication, but they also serve in leadership and consulting roles. NCS’s are prominent and impact health care across the board, from reducing medical complications to improving patient satisfaction. The Nursing Conference is a platform for nursing students, faculty, deans, researchers, and leaders to collaborate on topics affecting nursing education. Attendees for Nursing Conferences can Take advantage of opportunities to learn about Innovations in Nurse Conference from a variety of oral and poster presentations. Meet and network with nurses ranging from students to deans, faculty, and researchers. Take advantage of opportunities to collaborate with nurses from around the world. 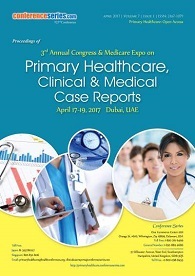 Attend prominent plenary sessions about relevant issues affecting Nursing Care. Nurse Practitioner 2019 involves of the theoretical and practical training provided to nurses with the purpose to prepare them for their duties as nursing care professionals. This Nursing Conferences education is provided to nursing students by experienced nurses and other medical professionals who have qualified or experienced for educational tasks. Most countries offer Nurse Education courses that can be relevant to general nursing or to specialized areas including mental health nursing, pediatric nursing and post-operatory nursing. Courses leading to autonomous registration as a nurse typically last four years. Nurse Care also provides post-qualification courses in specialist subjects within nursing. Nursing Conferences 2019 provide the perfect platform for just this as an interactive and engaging 2-day event: unique in format, content, networking and engagement. The event brings together truly innovative thinkers who are leading the way through trialing new disruptive solutions and rethinking the Nursing and Nurse Practice mind-set and will help you to better understand how to develop the right Nurse Practice and strategy with a strong scientific, clinical and commercial mind set and how innovative scientific techniques, emerging technologies and innovative devices can transform Nursing and Nurse Practitioner. Hong Kong, a business port located off the south-east coast of China. Archaeological findings suggest that the region has been inhabited since the Old Stone Age, and later with its loose incorporation into the Chinese empire during the Qin dynasty (221–206 BC). Starting out as a farming fishing village and salt production site, Hong Kong later evolved into an important free port and eventually a major international financial centre. Hong Kong Attractions: Hong Kong Disneyland a theme park located in Lantau Island has many themed lands like Adventureland, Fantasyland, Tomorrowland, Grizzly Gulch, Mystic Point and Toy Story Land. Tian Tan Buddha known as Big Buddha is located is a large bronze statue of Buddha Shakyamuni in Ngong Ping, Lantau Island. Victoria Peak is the highest point on Hong Kong Island with seven million visitors every year. It offers views over Central, Victoria Harbour, Lamma Island and the surrounding islands. Peak Tram is a funicular railway which carries both tourists and residents to the upper levels of Hong Kong Island offering good view over the harbour and skyscrapers of Hong Kong. Sky100 is a 360-degree indoor observation deck on the 100th floor of the International Commerce Centre in West Kowloon, Hong Kong. Hong Kong Space Museum is a museum of astronomy and space science in Tsim Sha Tsui. It was the first local planetarium. Lamma Island is the third largest island in Hong Kong. Lamma is peaceful and tranquil with an abundance of natural scenery. Ten Thousand Buddhas Monastery is a Buddhist temple located in Sha Tin. Why to Attend Nursing Conferences? Nursing conferences provides a global platform for exchanging ideas and make us updated about the latest innovations in nurse practice. Opportunity to attend the presentations delivered by Eminent Nurses and Scientists from all over the world. Who can attend Nursing Conferences? Individuals around the globe concentrated on finding out about the Nurse Practice, Innovations and its advances; this is a good opportunity to go to attend the Conference and achieve the biggest collection of members from the Medical Health sector. The Nurse Practitioners is directly impacted by the research conducted with prescription patients being worked based on findings from the study of life sciences. Clinical trials are conducted to ensure that products being developed are treated on how well they work on individuals affected by the diseases or conditions they are created to treat. The global market for contract Nurses and Nurse Practitioners, research and packaging summerized $248.5 billion in 2014 and is projected to approach $352.8 billion by 2020, registering a compound annual growth rate (CAGR) of 7.3% through 2020. Hospitals and Associations have generally financed their inward R&D endeavours absolutely all alone by contributing 20% or a greater amount of their top line incomes to pay for these attempts. The R&D Funding Forecast takes note of that there is a proceeding with move in where Research speculations are being made, with less in the U.S. also, Europe and more in Asian nations. The U.S. presently represents not exactly 33% of worldwide spending, while Europe's 35 nations represent under 20% and Asian nations represent about 40%, a pattern that has proceeded for as long as five years. Nurse Practitioners are Registered Nurses who serve as primary and specialty health care providers under a physician. They can specialize in family practice, pediatrics, women’s health, mental health and more. Most Nurse Practitioners work alongside doctors in a hospital or outpatient facility, but some run their own private practices. Cancer Nursing provides care for cancer patients and those at risk for getting the disease. They monitor physical conditions, prescribe medication, and administer chemotherapy and other treatments. Oncology is one of the most challenging and rewarding fields in nursing. The field of oncology nursing, in particular, is probably one of the most challenging and rewarding fields in nursing. Oncology nurses practice in a variety of settings, including hospitals, outpatient clinics, private practices, long-term care facilities and more. The scope of oncology nursing spans from prevention and early detection, to treatment (such as surgical oncology, radiation oncology, medical oncology), through symptom management and palliative care. An adult nurse practitioner (ANP) focuses on the primary care of adults (ages 12 and over). The main roles of ANPs focus on preventive care involving health promotion and disease prevention as well as the management of patients with acute and chronic health issues. Adult nurse practitioners provide medical care to patients from teen through the elderly. They must possess a master's degree, licensure, and possibly certification. Pediatric Nurse Practitioners work with patients from infancy to young adulthood, diagnosing illness, conducting exams, and prescribing medication. These nurses usually work alongside pediatricians in a hospital or outpatient facility, but some run their own private practices. Neonatal Intensive Care Nurses care for premature and critically ill newborns in the neonatal intensive care unit (NICU) of a hospital. These babies are born needing immediate medical attention, so Neonatal Intensive Care Nurses connect them to technology that helps them breathe and allows them to be fed intravenously, so they can gain weight. As a Neonatal Intensive Care Nurse, you’ll work under the direction of a physician, caring for the newborn, and helping to educate their new mothers about their baby’s condition, breastfeeding, and answering their questions. A Public Health Nurse works within the community to improve the overall health of the area. Their most common places of employment include county or state departments of health or public health departments, correctional facilities, occupational health facilities, businesses, and schools. They put together plans that alleviate or eliminate health or safety issues in a community, issues like immunizations, STDs, and obesity. They also help communities prepare for natural disasters and assist in disaster relief efforts. This Advanced Practice nurse gives anesthesia and anesthesia-related care to patients before, during, and after surgery. Nurse Anesthetists need to be prepared for a wide variety of situations, which is why the career path to becoming a Nurse Anesthetist is an intensive one. It’s also why Nurse Anesthetists are among the most in-demand, and highest-paid, of all nursing professions. Nursing informatics (NI) is the Virtue that combines nursing science with various data organization and indicative sciences to order, delineate, keep up, and scatter information, knowledge, mindfulness, and premonition in nursing rehearse. Nursing Informatics, direct medical caretakers, clients, patients, the amateurish medicinal services association, and other colleague in their basic leadership in all execution and atmosphere to pick up pointed conclusion. This support is skillful using insight arrange, knowledge improvement, and insight mechanization. Originally viewed as an entry level position where nurses could gain experience before entering into a specialty, Medical-Surgical Nursing requires mastering so many skills, it is now considered a specialty in and of itself. Medical-Surgical nurses provide direct care to adult patients in a variety of settings and are the largest group of nurses, accounting for almost 1/6 of the nursing profession. 6. Constancy (staying steadfast to one's dedication). Also known as OB/GYN nurses, Gynecology/Obstetrics Nurses care for women from puberty to menopause. They help women during pregnancy, labor and childbirth, as well as women with health issues with their reproductive system. As a Gynecology/Obstetrics Nurse, you’ll also teach women, and teenage girls, about physical and sexual health providing information on treatments from birth control to mammograms. A diabetes nurse helps patients with diabetes a disease that prevents the body from producing or absorbing enough insulin. Since much of their job is spent relaying important information between patients, doctors, and family members, a diabetes nurse’s greatest asset is their ability to communicate. Many Diabetes Nurses become advocates for diabetes awareness and go on to become diabetes educators. Registered Dental Nurses (RDNs) work as part of a dental team in a variety of clinical and non-clinical settings, preparing the patient for treatment, sterilizing instruments, passing instruments during the procedure, holding suction devices, exposing dental radiographs, taking impressions, and fabricating provisional crowns. Dental operators can focus more time on the procedure; the dental assistant then effectively becomes the operator's extra hands. Healthcare Nurses analyze health and public policies, helping to create a healthier society. Nurses with expertise in this growing role can be leaders in advocacy, research, analysis, policy development, implementation and evaluation. As a Health Policy Nurse, you can work in health services research firms, legislative offices, for healthcare provider associations, or hold elective office. Thanks for attending Nurse Practitioner 2018!! 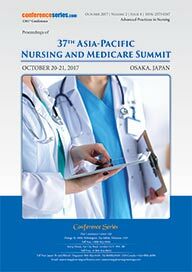 The 25th World Nursing and Nurse Practitioner Conference (Nurse Practitioner 2018) hosted by ConferenceSeries LLC Ltd., took place during October 22-23 2018 at Osaka, Japan. Active participation and generous response were received from the Organizing Committee Members, Editorial Board Members of Journals as well as from eminent scientists, talented researchers and young student community. Researchers and students who attended from different parts of the world has made the conference one of the most successful and productive events in 2018 from Conference Series. The conference was marked with the presence of renowned scientists, talented young researchers, students and business delegates driving the two days event into the path of success with thought provoking keynote and plenary presentations highlighting the theme, “Innovations and Advancements in Nursing”. Conference Series has taken the privilege of felicitating Nurse Practitioner 2018 Organizing Committee, Editorial Board Members and Keynote Speakers who supported for the success of this event. Conference Series, on behalf of the conference sponsor appreciates all the participants who put their efforts for this event and sincerely wishes them success in future endeavours. The esteemed guests, Keynote speakers, well-known researchers and delegates shared their innovative research and vast experience through their fabulous presentations at the podium of grand Nurse Practitioner 2018. 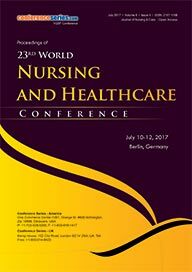 We are glad to inform that all accepted abstracts for the conference have been indexed in “Advanced Practices in Nursing” as a special issue. We offer our heartfelt appreciation to Organizing Committee Members, adepts of the field, various outside experts, company representatives and other eminent personalities who supported the conference by facilitating the discussion forums. Let us meet again @ Nurse Practitioner 2019.